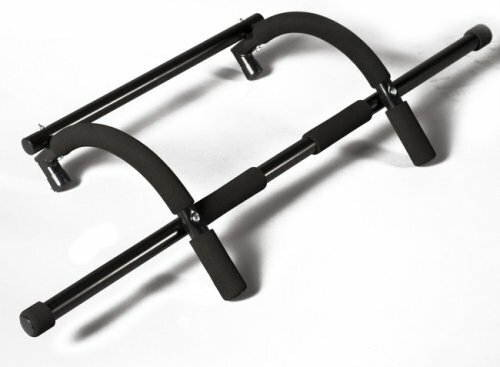 This multi function training bar combines every exercise you need to build a powerful upper body. Its the ultimate body sculpting and strength building tool that helps shape the upper body and tones your midsection. The durable steel construction holds up to 250 lbs. It is designed to fit residential doorways 24" to 32" wide with doorway trim or molding up to 3.5 inches wide. Three grip positions, narrow, wide, and standard.